Review: A definitive study of consciousness as the creative, generative force in the cosmos. 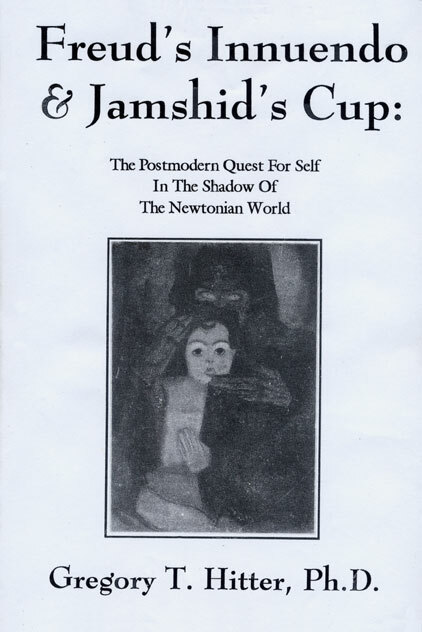 Re-written from the author’s Doctoral Dissertation (Psychology), the text explores the roots of ancient wisdom and postmodern science, as they relate to the new and developing consciousness-based paradigm – the third great worldview of humanity after religion and science – that unites these two previous worldviews into a greater whole (and thus re-unites the field of “metaphysics” that was divided in the modern era into religion and science). The book explores the limitations of modern depth psychology as it developed from Freudian thought, with a detailed analysis of Freudian psychology’s pretensions to be a consciousness-based approach to creating wholeness and well being. The writing then goes on to expand the notions of depth psychology using views from ancient wisdom and postmodern science (Chaos Theory and Quantum Physics), as well as other cultural expressions from art, literature, philosophy, etc., to create a true consciousness-based approach to wholing states of consciousness and creating wellness (forms the basis for the SelfQuesting Approach™). The aim is to demystify postmodern and ancient views, showing the common ground they share, and to further generate a move toward a practical grounding in “Self” and self-awareness. The significance of this powerful move to actively integrate fragmented conscious being into a oneness that freely radiates in the body/mind, has a timely appeal that offers a shift beyond the alienation and disease of modern life and our limiting view of ourselves. From diverse cultural expressions of important human needs, the author demonstrates a rationale for creating a demystified, postmodern, consciousness-based approach to understanding and realizing the Self and from that creating whole (well) being, that is validated and firmly grounded in contemporary postmodern science and depth psychology, as well as being consistent with and expanding the perennial wisdom of the East and the West.